Vacation rental management companies see a huge value in listing their rentals on Dwellable’s site. For starters, listings are free (no need to expand on that) and it only allows listings from vacation rental management companies – not private owners. It also gives way more exposure for these companies to travelers than other online booking sites. Those that list with Dwellable see more bookings from this site than any other booking sites. Barefoot: What makes you different in this industry? What is the elevator pitch when you are talking to a vacation rental management company? Barefoot: Talk a bit about the reason why you choose to integrate with Barefoot. 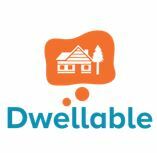 Winfield: At Dwellable, we focus on professionally managed homes, not rent-by-owner. Since Barefoot clients are largely well-established, professional property managers in top destinations, it is strategically a great fit. Plus, Barefoot's technology plugs into Dwellable seamlessly. With Barefoot's reputation in the industry, it made sense for them to be our first PMS partner. Barefoot: Describe more of the technical description of the integration so that prospective customers understand the benefit of implementing this solution. Winfield: Dwellable ingests the Barefoot API seamlessly. Customers simply sign up for Dwellable, create a merchant account, and begin accepting bookings. Barefoot: Why does this integration help those who implement it? Do you have any metrics? Winfield: Bottom line: Incremental leads and bookings, free of charge. Our app converts leads at twice the rate of listings websites. Winfield: I think the vacation rental industry is increasingly headed towards professional property management. In a few years, I don't think Airbnb or any RBO site will exist without a layer of professionals managing the inventory. Travelers and online travel agency websites will demand a base level of quality and consistency that owners are unable to provide (to say nothing of the tax and regulatory issues they're unlikely to be equipped to manage). It's a great time to be a professional property manager! Barefoot: Tell us something more about your company so that we can build some commonality with the audience. Winfield: My co-founder, Adam Doppelt, had the "vacation rental from hell". He was given inaccurate information, had vermin in the house, dirty linens, the whole nine. When he tried to submit a review to the site where he found it, he was told the owner maintained he had not actually stayed in the home so the review was rejected. He had already created and sold the successful restaurant app UrbanSpoon, so when he got back from this calamitous trip, he decided to create a better solution than the old vacation rental listings websites he had used in the past. He wanted honesty, accuracy, and transparency for travelers. And being a mobile native, he created an app, it caught fire in the app stores, and Dwellable was off to the races! The brains behind Dwellable are intuitive in the way they do business. Incorporating their business model with those that seem to fit together effortlessly has helped them build a successful company – one that others are destined to follow. We value our relationship with Dwellable and look forward to helping continue to build on what has become a true virtual success. Barefoot has one of the most aggressive partner programs in the vacation rental management industry. To learn more about our partners, or the Barefoot vacation rental management software, please contact us at sales@barefoot.com.